SEWEC helps companies & organizations supporting associate continuing education by putting together an education fair with colleges you choose, right in your large conference room or cafeteria. SEWEC members will come during designated times and set up tables to answer any questions your associates may have about college. Conveying the diverse offerings between southeastern Wisconsin educational institutions in a clean and user friendly format. Featuring upcoming events and job fairs while highlighting educational institutions was the primary focus. To simplify the school listings, we implemented a search function. The site was then created so that the SEWEC board members can easily update content on the site. 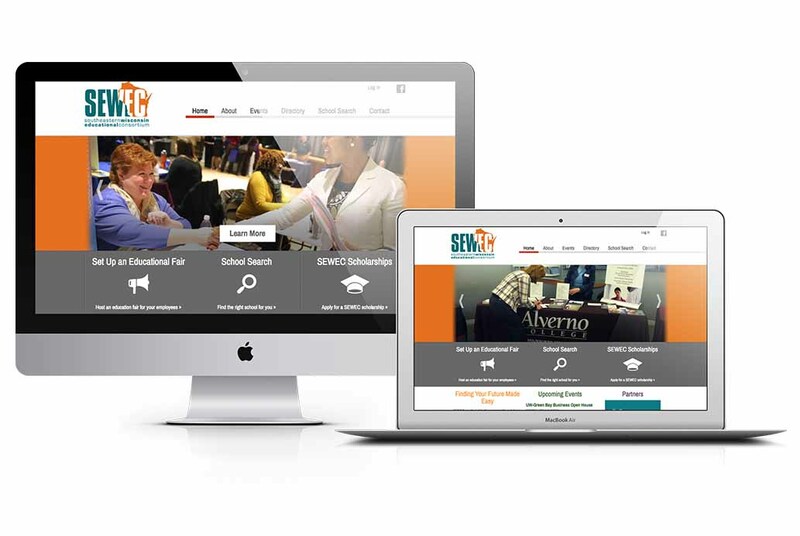 The new color palette was designed to support the orange and teal colors associated with SEWEC branding already in place. Board members were allowed the freedom and versatility they needed to update and add new content.